Laws surrounding superannuation can be complicated. Things become even more complex if you have superannuation along with an American expatriate tax filing requirement as a resident or citizen. To clear up some of the confusion, we will examine how superannuation is taxed in the US and Australia, so there are no unwelcome surprises at tax time. As a rule, Australian superannuation funds are typically run as trusts. Every employee over the age of 18 must contribute to their superannuation fund. The only exception being if an expat employee is exempt due to a certificate of coverage. Currently, the guaranteed superannuation contribution rate in Australia is 9.5% – this will increase to 10% by 2021. Your investment in your superannuation fund is funded and vested. Similar to most foreign pension plans, taxation of superannuation is a grey area. The IRS does not have the resources nor the inclination to thoroughly review all foreign pension plans to provide clear tax advice on each specific country’s pension plan. With no clear guidelines, you’ll find many conflicting opinions regarding how your superannuation income should be taxed on your US expat tax return. Generally, Australian superannuation is treated as either an employee benefits trust or a grantor trust. The way your ownership of a superannuation trust is treated within US taxation laws depends on various factors. One factor most all accountants agree on is that superannuation does not have an exact equivalent in the US. This means your superannuation contributions are not deductible when determining your taxable income. Unfortunately, there are no tax rescheduling measures within the US-Australia tax agreement to allow superannuation contributions to be recognised within the US. Why doesn’t the US tax system recognise superannuation as a pension plan? This is quite a complicated question, with a three-pronged answer. First, there is no US equivalent for superannuation’s hybrid structure, which combines both Australian social security and private retirement fund elements. In fact, super is so unique the IRS has no definitive guidelines on how an expat’s super contributions should be classified and reported for all US tax purposes. Second, the very nature of super is difficult to define. 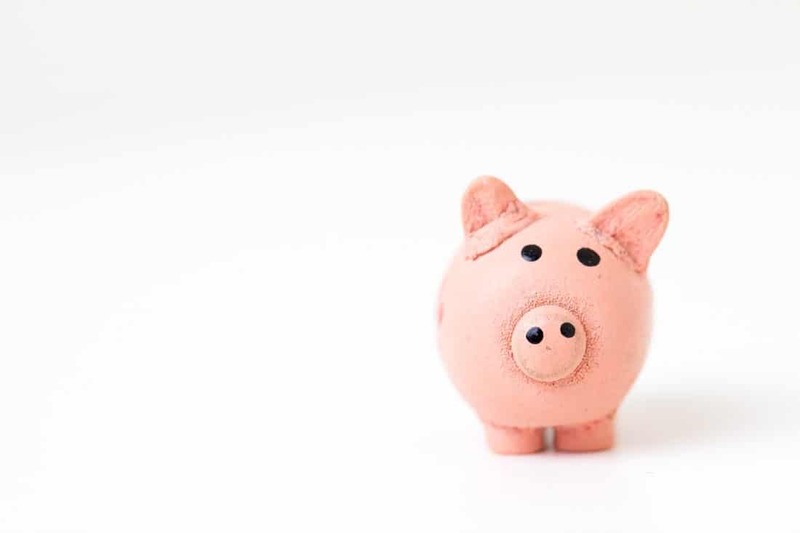 While your super fund is typically considered a trust which holds superannuation assets, it is not taxed as a trust under Australian taxation laws. Third, the systemic differences between Australian superannuation and a US pension scheme, prevent the IRS from reconciling an Australian expat’s super as anything but what it really is – a privatised national pension scheme. The reason for this is while Australia and the US have a three-tiered pension scheme system – 1) a government pension system, 2) an employment-based pension system, and 3) supplementary voluntary personal savings, there are stark differences between how these pension plans are administered in both countries. What is the difference between administration of Australian and US pension plans? Australian superannuation is administered as a funded, secure plan. By contrast, US social security is administered as an unfunded and unsecured promise to deliver to pay a set amount in future. Therefore, as superannuation is not recognised as a privatised national pension plan, this prevents efforts to accurately classify Aussie expats’ super for US taxation purposes. How are Aussie expats affected by this lack of guidance? This lack of guidance on the US taxation of super funds has obviously created a lot of confusion and uncertainty among Aussie expats. As a consequence, many Aussie expats have incorrectly reported their super on their US tax return as either a beneficial interest in a foreign unqualified employee plan, or as a foreign grantor trust. As many Australian expats living in the US have learned first hand, the consequences of misreporting your superannuation under either of the aforementioned classifications can be a great financial burden. The financial consequences could include substantial income tax liabilities, as well as penalties and interest for an expat. In addition, you would also need to ensure your tax is up to date by filing “catch up” US income tax returns, and disclose all foreign bank accounts and foreign assets. What is an employee benefits trust? Unless your superannuation contributions are considered a foreign grantor trust, your superannuation will be classified as an employee benefits trust. As such, the income must be reported directly on Form 1040. And, providing you meet the threshold requirements, ownership must be reported directly on Form 8938. For some taxpayers, the contributions are taxable from a US standpoint. For others, any growth (including contributions) in your superannuation fund is taxable. Whether you’re taxed on the contributions or growth is dependent on if you are regarded as a highly compensated employee. This is anyone who earns in excess of $120,000 per year and/or owns more than five percent worth of interest in the business. If you are a highly compensated employee, all of your superannuation growth, accrued over a calendar year (including all contributions) are classified as compensation on your tax return. However, if are not considered a highly compensated employee, only your contributions (excluding growth) are classified as compensation on your tax return. It is important to remember that superannuation is not recognised as qualifying income for Foreign Earned Income Exclusion. Therefore, as an expat, you won’t be allowed to use this exclusion for superannuation income. Instead, you are eligible to use Foreign Tax Credits to counterbalance any US taxes on this income. If you have any Passive Foreign Investment Company (PFIC) investments which are held in an employee benefits trust, it does not need to be reported separately each year on Form 8621. Any growth or contributions taxed on your US tax return are considered your US basis for the superannuation fund. When it is distributed, it cannot be taxed on your US return. What is a foreign grantor trust? Within a foreign grantor trust, your superannuation and income must be reported using Forms 3520 and 3520A, for each year of ownership. Form 3520A is used to report and tax all realised and unrealised income and superannuation contributions, on your US tax return. In addition, you are required to report all PFIC investments (within a foreign grantor trust) each year on Form 8621. One factor most all accountants agree on is that superannuation does not have an exact equivalent in the US. This means your superannuation contributions are not deductable when determining your taxable income. What qualifies a superannuation fund as a foreign grantor trust? The short answer to this question is: control. Unfortunately, within the realm of taxation law, control is a difficult term to define. Control could be defined, for instance, as the ability to choose where to invest your superannuation (i.e. which superannuation fund), which all Australian employees have the right to do. Control could also be considered to exist when you have the choice to make contributions (i.e. as a self-employed person) or additional after-tax contributions. Since the IRS has not yet ruled on what constitutes control in terms of superannuation, it is not clear whether either of the aforementioned definitions would be deemed control. The freedom to make decisions on the actual investments within your superannuation, however, is generally considered control. Under this definition, the superannuation fund is considered a foreign grantor trust. Accordingly, any superannuation fund which gives you this type of control (i.e. a self-managed super fund – SMSF) is classified as a foreign grantor trust. This status also applies even if you choose not to exercise this control, as the ability to make these decisions is sufficient. Current FBAR regulations do not have clear guidelines about reporting foreign employee benefits trust. However, there is an exemption to this rule. If an expat owns less than 50 percent of the trust’s assets, they are not required to report the trust on the FBAR. It can be argued, though, if you’re part of a large super fund, it’s unlikely you will own more than 50 percent of the fund’s assets. Deciding whether or not to report your superannuation on your FBAR is something you should discuss with your tax agent. The reason being that regulations are not as clear as they should be. However, if you have a foreign grantor trust, superannuation must be reported on the FBAR. Although this is a notoriously grey area, it’s best to err on the side of caution and report your superannuation on the FBAR, even if your super is within an employee benefits trust. As an Aussie expat, you must report your superannuation income on your annual US tax return. You must report on your superannuation using Form 8938, provided you have a filing requirement to do so, based on thresholds, and you must report your superannuation on the FBAR, as applicable. Do you need help filing your expat taxes? For help navigating with your Australian taxation issues whilst you live an work in the US, feel free to call or email the expert team at Expat Tax Services today. We will help you determine the reporting requirements for your superannuation, to ensure that filing your next US tax return is a breeze.